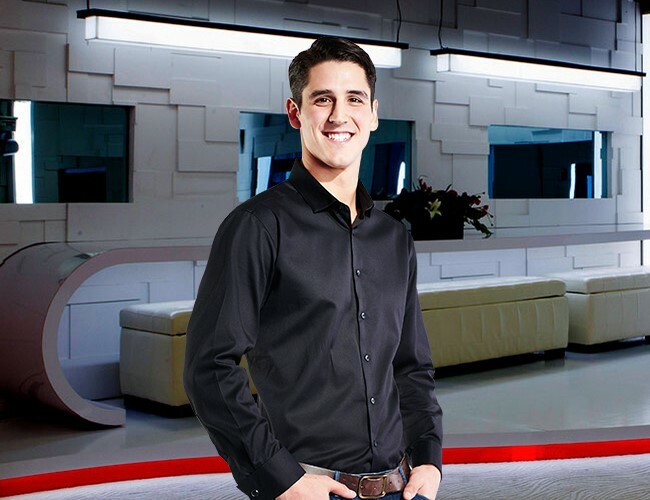 Zach Oleynik brings his all-around boy next-door persona to the Big Brother Canada 3 cast. The 22-year-old student is pre-med and a quarterback for the university football team. But even though his resume is stacked like an overachiever, he does have a BBCAN3 fear. “I honestly might have trouble with the endurance challenges because I’ve seen some of the taller guys on the show (he’s 6’4”)struggle with those ones in the past,” Zach said. It might just be awkward and tough for me to stay in one position for a long period of time. But that’s as far as his modesty goes. He says he doesn’t want to win competitions right off the bat, but it’s going to be hard for him not to. He’s never not won, he says. Instead, he’s going to work on building relationships at first and says a showmance or a bromance are not out of the question. Do you think Jordan has what it takes to win Big Brother Canada 3? We’ll know more when the new season premieres March 23.